Map It! 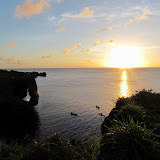 Okinawa: "Sunset! Manzamo"
Summer time in Okinawa offers clear blue skies with large blooming white clouds that decorate the daytime abyss. 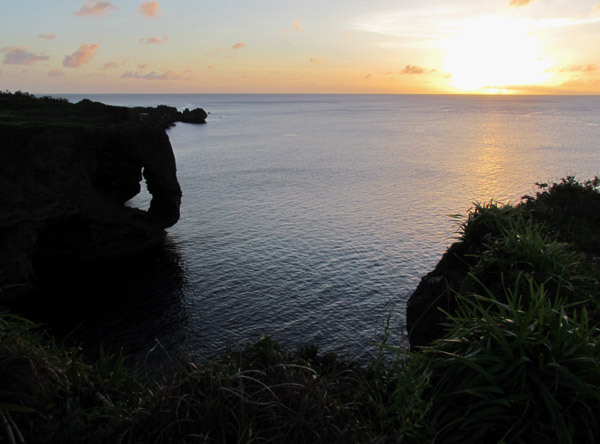 But as the Okinawa sun descends into a blaze of evening glory, a 'magical' transition occurs to the west – the Ryukyu Island Sunset. And what is a sunset without the view point its admired from? 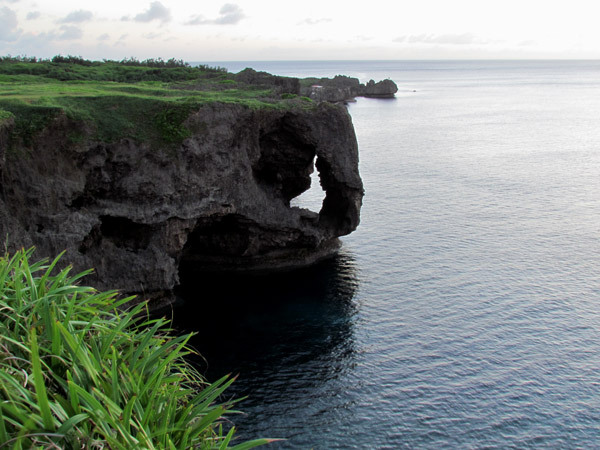 The picture you see above was taken from Onna Village at Cape Manzamo which is better known for its unique looking cliff, shaped like an elephant's trunk. 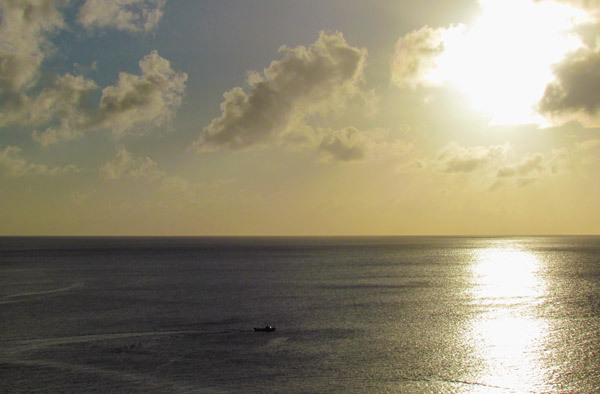 And because you can get right up on the ocean, Cape Manzamo offers great composition of terrain, people, and the blazing sun in the viewfinder of your camera. It also offers fond moments with friends and love ones...as well time for the individual soul. But the show doesn't end when the sun is gone! If you love taking photographs and are savvy with a camera you can capture the radiating sky during it twilight formation as seen here in this photograph. To see other photos taken before, during, and after the sunset click on the photo album above or click here. This is Sunset! at Manzamo. Parking. Parking is available on location. Directions. 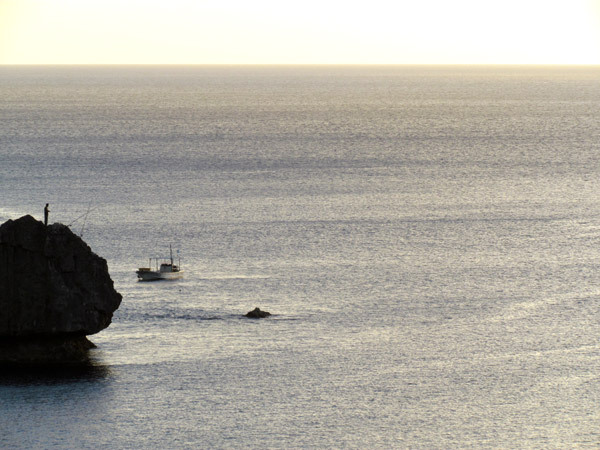 To get to Cape Manzamo, you have to take Highway 58 into Onna-son (Onna Village). You will have to take the 58 By-pass (skirts the shore). Signs will be posted directing you 'Cape Manzamo' along the 58. Other great places to view sunsets. 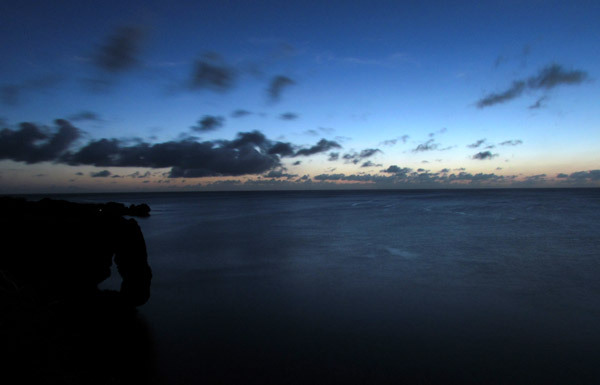 The Goddess Sunset, Nago City, Zakimi-jo. "The Hakugin-do Shrine - Itoman City"
"Hira Falls ひら滝, Nago City"